Social media is a force of nature. It can just as easily help you keep in touch with your best friend in elementary school as it can help you get new clients into your law firm. In most cases, your potential clients have checked out your firm on Facebook (or Twitter, Instagram or LinkedIn) before they ever dial your phone number. For this reason, it’s imperative that your law firm has a positive, active presence on social media. 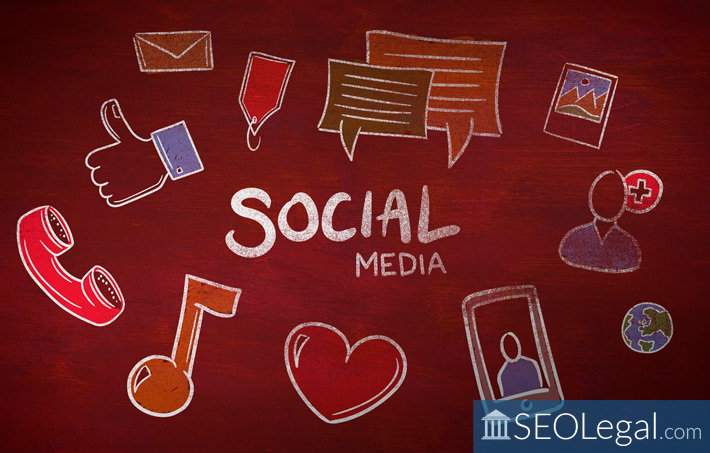 Google maintains that a business’s presence on social media has no bearing on your search ranking; however, there is no doubt that your SEO efforts are impacted at least indirectly. Having a presence on social media provides you an instant boost over any competitor who isn’t on social media. This is especially true if you’re active and frequently post relevant content to your page. Any link that a visitor clicks on is something they have an interest in because they were already in a position to read just by visiting your page. Remember, however, that a social media profile page isn’t enough. You need to ensure that you are actively posting content and that you’re engaging with your audience and other social media profiles. There are few things better at getting people’s attention than video. Even better than attracting a captive audience, Google also favors websites that utilize video. This means that law firms who use videos to connect with their clients can double their benefit. They first reap these benefits from Google on their business website and then again when they share it on social media. Make sure when you do share the video on social media that you link it back to your site.